There’s a 20% off promotion today (up to $100) that includes a deal for the GoPro Fusion, Xiaomi Mijia Mi Sphere and other 360 cameras. 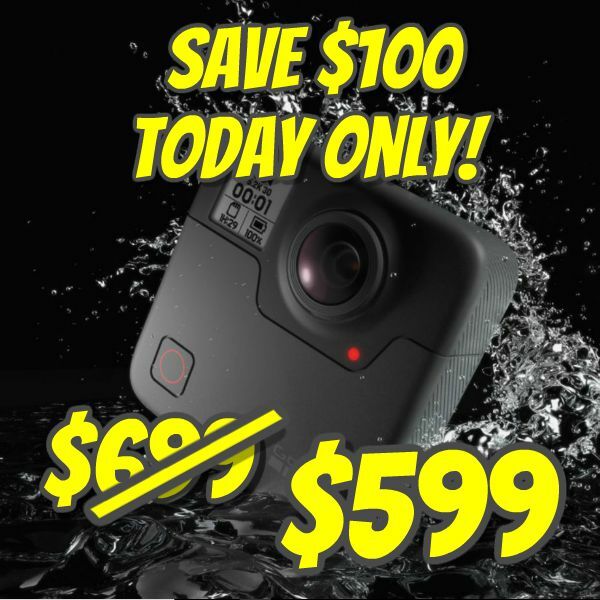 With this promo, you can get $100 off the GoPro Fusion! They’re brand new, from an authorized dealer. Here’s how! GoPro Fusion (reviewed here) is an amazing camera but it’s not cheap. But today, you can get a $100 discount on the Fusion! To get the discount, use this eBay link for the Fusion and when you checkout, enter the promo code PSPRING20! The code will work only until 8pm Pacific Time today March 9, 2018. You can also use this code for get 20% discount on other 360 cameras, including the Yi 360 VR, Ricoh Theta V, and Mi Sphere (see here). For the Mi Sphere, GearBest has been usually cheaper but this camera is still an amazing value for 360 photos at this price. 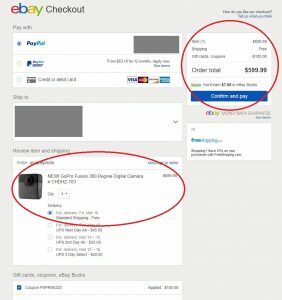 *eBay Bucks are not an instant discount but you will receive the money back as an eBay voucher Mid-April. These are shipping from Malaysia so expect delivery time to be similar to GearBest. I estimate 4-6 weeks. Editor’s note: Thanks for using these affiliate links to support 360 Rumors at no additional cost to you so we can do more reviews and tutorials!